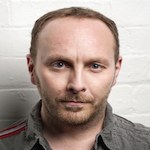 A career journalist, Gordon has been a specialist in the music industry for the past 15 years. Now Editor of IQ Magazine, he was previously the Live Editor at Music Week and International Editor for Billboard. In addition to his various editorial roles, Gordon has undertaken a number of consultancies for record companies and other music industry organisations. Prior to moving to London, he spent two years in Washington DC where he established a publication for the space and satellite industry, while from 1989-97 he was a reporter for The Courier and Evening Telegraph newspapers, among others, in his native Scotland.